Plan for the weekend: 1) Unique Casino games, 2) generous bonus, and 3) winning real cash prizes. Join Chumba Casino, claim 2,000,000 gold coins and $2 sweeps cash, and play the best Casino games for the US players! 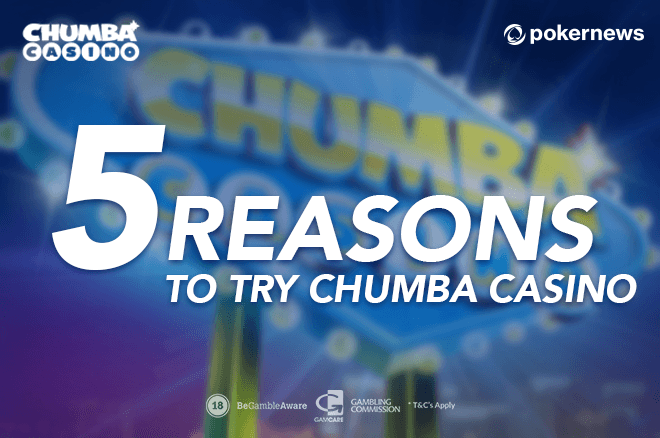 Have you heard of Chumba Casino yet? If yes, I’m sure you’re a loyal player there already. Like I am. If not, then I’m happy I’ll be the one who introduces it to you. Chumba Casino is one of the best gaming platforms out there. Especially, if you love Casino games and live in the United States. And I’m about to tell you why. Can’t tell that about many Casinos, right? Gambling laws are pretty strict here. Most of the US players can enjoy Casino games only at brick-and-mortar Casinos. This is where Chumba Casino is your best option. It’s legal to play it because it doesn’t offer real money gambling. All the games can be played with in-game currencies instead. You don’t have to invest any money whatsoever to try their games. You can claim a generous welcome bonus that gets that covered. Yes, you've read that right. At Chumba, you can win real cash prizes. Chumba works as a sweepstakes Casino. When you buy in-game currency called gold coins, sometimes you get other in-game currency – sweeps cash – for free! You can use both to play all the games. But with sweeps, you can exchange the winnings into real cash prizes: 100 sweeps = $1 USD. Make sure to read our Chumba Casino review to get a better idea of how it works. It beats real money Casinos because every game is developed in-house. Thus, all the games are unique to Chumba Casino. You won’t find them anywhere else. And at the same time, it beats social Casinos, too. Because all the games are open from the get-go. You open an account at Chumba Casino and can play all the games immediately. No need to level up and unlock new games. One of the biggest shortcomings when looking for Casino games is that game selection is often limited to Slot machines only. And no possibility to win real money, obviously. James Bond wouldn’t approve of that. But he would approve of Chumba Casino. It hosts not only a brilliant variety of Slots but also Blackjack and Video Poker. And the platforms of these games are as good as they get. You may even forget you’re playing online. Since there are two in-game currencies, when you join Chumba Casino, you get a bonus to try them both. =>>Open your account and get 2,000,000 gold coins and $2 in sweeps cash! It’s enough to try a lot of the games because the smallest bet in most of the games is 250 gold coins or $0.01 sweeps. And once again, don’t forget there’s a possibility to win real cash prizes in the end. No matter how many reasons I’d give you, that’s no doubt the biggest one. Claim your Chumba Casino Bonus today!